Film producer Trevor Engelson, now best known as the ex-husband of Meghan Markle, has just announced a new TV project, and it's...quite something. According to Deadline, Engelson is working on a "divorce comedy" for Fox about being left for a British prince. 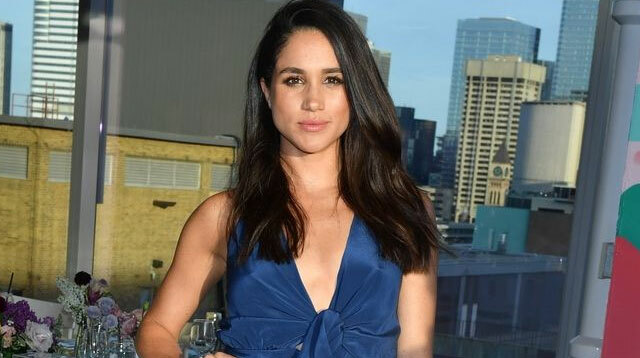 It's fictional, apparently, in the sense that the lead characters are not based on Markle or Engelson, and several plot elements will be markedly different from real life. The sitcom will center on a couple who have children, and the unique challenges that arise when you have to share custody with the British royal family. Markle and Engelson have no children together and also divorced in 2013, well before she started dating Prince Harry, so it's fair to say the show is just ~loosely inspired~ by real events. Here's the official pitch for the show: "Divorce is hard. Sharing custody is harder. Sharing custody with the British Royal family when your wife marries a prince, in the unforgiving spotlight of London's tabloid media, is next level." The show was reportedly inspired by a conversation between Engelson and The Shannara Chronicles' producer Dan Farah, speculating about what could have been if Engelson actually did have kids with Markle, and therefore had to share custody with the British royal family. Which, honestly, is a fantastic premise for a sitcom.